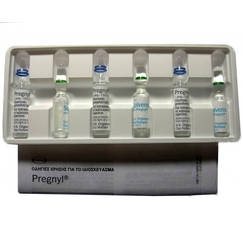 Pregnyl This injectable, highly purified preparation of human chorionic gonadotropin obtained from the urine of pregnant women. Pregnyl is used in the treatment of prepubertal cryptorchidism not due to anatomical obstruction. 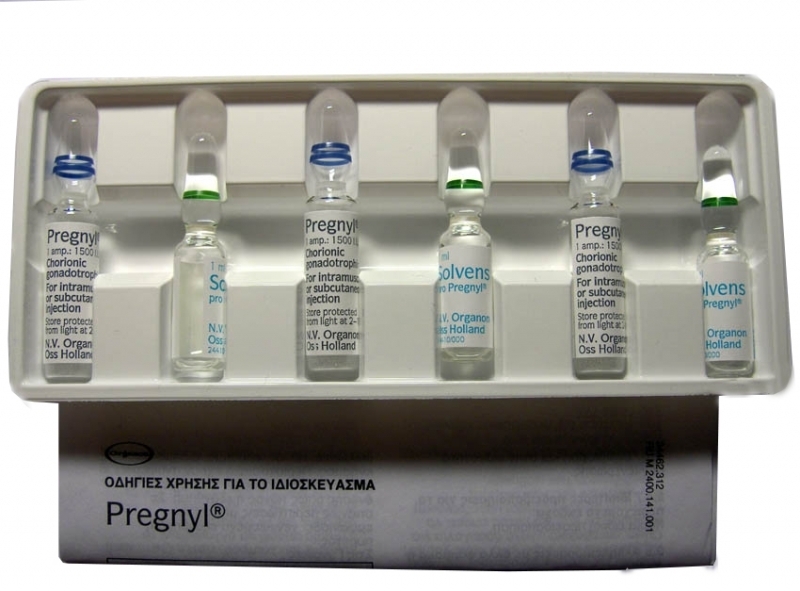 Pregnyl is also used in some cases hypogonadotropic hypogonadism in men, as well as for the induction of ovulation and pregnancy in infertile women. Human chorionic gonadotropin, HCG, is also widely used in athletics today. HCG is not a natural male hormone but mimics the natural hormone LH (Luetinising Hormone) almost identically. LH stimulates the production of testosterone by the testes in men. Thus HCG sends the same message, resulting in an increase in the testes of testosterone due to the effect of hCG testes Leydig cells. To increase your own body's natural production of testosterone which is often depressed in the long term steroids athletes use HCG.